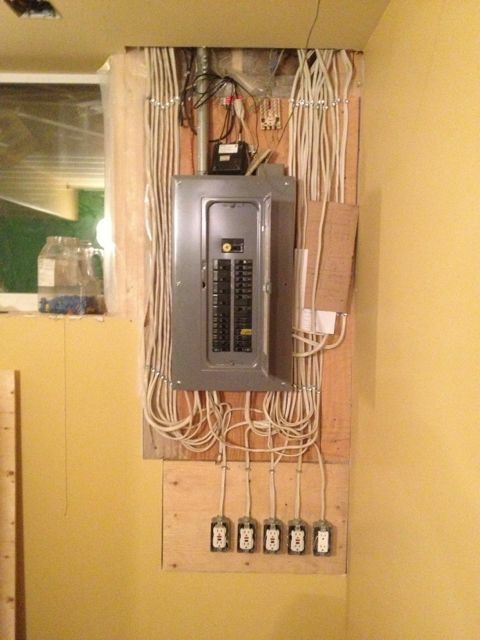 Some houses have more than one panel, the main and a sub panel or pony panel. They often have stickers on them that indicate the rating of the panel. This is not necessarily the same as the electrical service you have coming into your property. For example, a box that is rated for 100 amp service may well be used in a house that only has 60 amp service. Think of it like your car. The speedometer shows that most cars can do in excess of 200 km/h, although you know darned well they don’t (or do you?)! The first thing to look for on a panel is a main shut off switch. It will generally be at the top, separate from the rows of breakers that go to lights and plugs, etc. If there isn’t a main shut off, you better call an electrician. If it does have a breaker, look closely to see if the switch is labeled 100 or 60/70. It will be indented in the switch, so look closely. If it doesn’t say 100, call an electrician. This is that glass globe-like thing outside that is used to measure how much power you use. Some have a spinning wheel, some are digital. If it is in a square or rectangular box, it’s probably 100 amp. 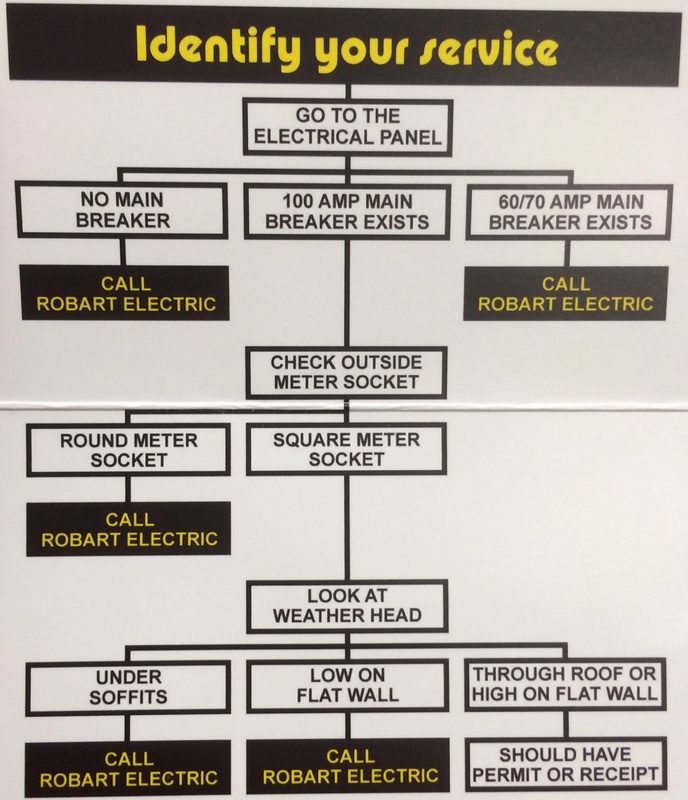 If it’s just round with no box, it’s likely 60/70 amp, and you should call an electrician. Old school weather heads usually connect under the soffit and eaves to the side of the house. Newer weather heads are generally above the roof, extending from a pole, or way up on the side of a 2-storey house (code is 12′ 4″ above the ground or surface you’re standing on below it). If it’s under your soffits or low on a flat wall, call an electrician. Rob says an electrical upgrade shouldn’t be more than $2000-$3000, which includes a new panel, meter socket, weather head, and permits. Always pull your permits, people! If more work is to be done inside the house, of course the cost may go up, so just make sure you get a detailed quote for what should be done in order or priority. Rob also said that in houses with aluminum wiring, he can upgrade it for roughly $1500. Sellers, your job is to make buyers want to buy your house. The fewer obstacles or red flags they encounter, the more likely is is that they will buy your place and not the one down the street. If you have two identical houses except one has current electrical and the other has out-dated electrical, which do you think they will buy? Even if you discount it, it’s one more thing they have to do before they can even insure the thing. Spend the money up front to get the work done, and you will have a more successful selling experience. Run away. I really don’t think you need to do this, but it’s an option. Ask seller to upgrade it before you move in. Make it a condition or even a term of the purchase agreement. Negotiate a discount so that you can do the work yourself once you take possession (this means you’ll still have to insure the house at a higher premium until the work is done). Negotiate a cash back rebate in the purchase agreement (the same would apply about the insurance as in #3). Get a purchase plus improvements mortgage, so you have access to money for renovations. Talk to your mortgage broker for the ins-and-outs on this one (you’d still have the same insurance challenge, though). There you have it. 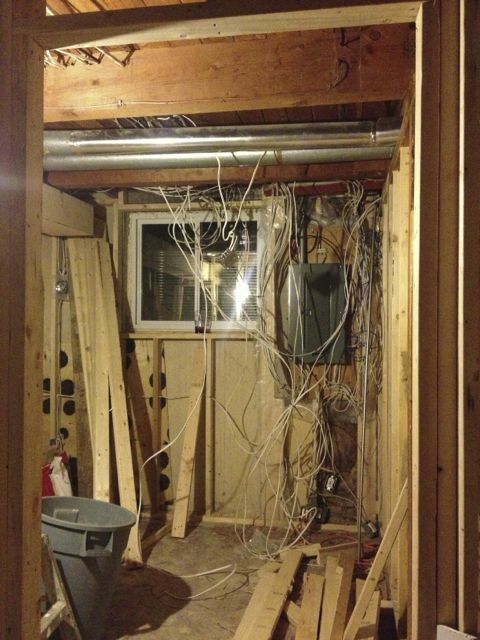 Again, there’s no way this post will cover all scenarios, so keep that in mind, and find an electrician you trust. Most will be happy to give you advice or even a free written estimate that could help you out with a purchase or sale. 8 Responses to Do I have 60 amp or 100 amp electrical service? You did a nice simple job of this, I love the pictures. How would you like to do one on Robart Consulting Ltd. The reason it was created for realtors is because, how many times has a home inspector oped their mouths and said something about the electrical that scared your buyers. I can help save the sale with a consultation. Finally after 3 years the city of Edmonton, Epcor and I have come up with a simple and fool proof method of determining if you have a 60 or a 100 amp electrical service. If you check out an article that was created in June 2015 your will agree that’s been a long time coming. I upgraded my house to 200 amp from 60 amp. I ran a buried 100 amp to the garage as there was only an extension cord. 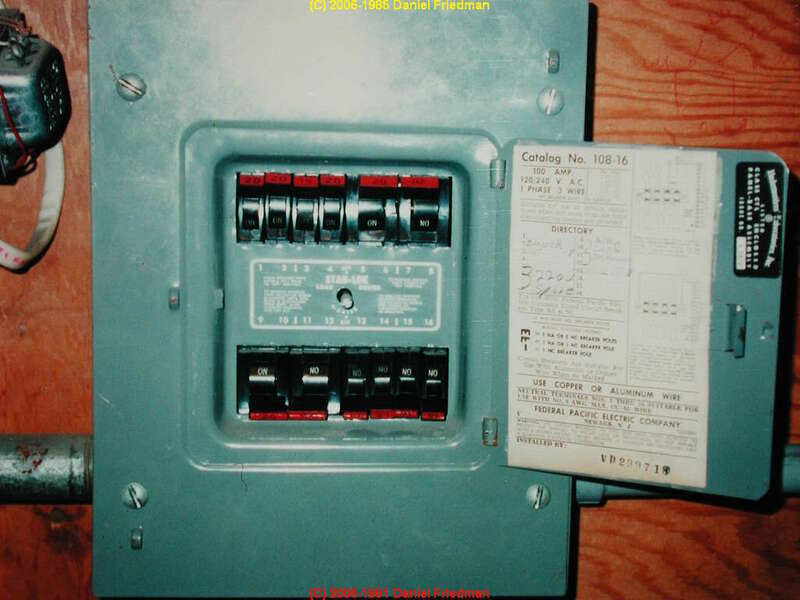 Can I use the old 60 amp panel box with the breakers in the garage or do I have to get a 100 amp box? I will only have a few lights and two garage door openers in the garage. You’d be best off asking Rob about that. 780-238-8195.
shall i know about city meter. is it equal to normal meter or different.pls. Best to ask Rob about that. 780-238-8195. Hi, I’m based in Calgary and am a renter. I’m approaching my landlord to have my electrical system upgraded so that I can have 100 amps run to my garage. There’s a round meter with no box on the side of the house, it’s an Enmax meter installed in 99 and it says its 200 amps, 240v 1 phase. The line into the house is through the eaves. The main panel inside is rated at 70 amps. This is a 1950’s house and there appears to be electrical problems with this place and I want to bring in an electrician to make sure everything is correct as there’s to many DIY electricians that like to work for landlords. Is it possible for me to have a 200 amp round meter and a 70 amp box or has this been gaffed together.